The Precision Sniper Rifle (PSR) was a program by United States Special Operations Command (SOCOM) to replace all current bolt-action sniper rifles in use by U.S. special operations snipers with a single bolt-action rifle chambered for a large caliber Magnum chambering like .300 Win Mag, and .338 Lapua Magnum. The solicitation was placed on January 15, 2009. The contract was awarded to Remington Arms for their Modular Sniper Rifle. On January 15, ’09 SOCOM re­leased its requirements for a new PSR (Precision Sniper Rifle) for future fielding with our nation’s special operations forces. It seems that Uncle Sam has finally embraced the idea that the 7.62mm doesn’t have the legs for our current operational environment and at 27 pounds (unloaded) a .50 cal can only be carried so far so fast by one soldier. In an effort to reach out farther than a 7.62mm rifle allows while keeping the weight reasonable for one soldier to carry, SOCOM has introduced the PSR program. The future PSR must have a stock that either collapses, folds or removes without tools. It must also have no component longer than 40 inches and weigh less than 18 pounds with a loaded five-round magazine. Mil Std 1913 rails are required and the barrel must be changeable by the operator within 20 minutes. There is no specified caliber. The system shall be chambered to safely fire factory produced “non-wildcat” Small Arms Ammunition Manufacturing Institute (SAAMI) or Commercial European standard (CIP) ammunition. The action can be either manually or gas operated and available in left and right hand versions. With primary day optic and ammunition the system shall provide 1.0 MOA from 300 to 1500 meters (in 300 meter increments) when fired from the shoulder or an accuracy fixture in nominal conditions. This is further defined as 1 MOA Extreme Vertical Spread for all shots in a 10 round group at the stated distances. Mean Rounds Between Failures (MRBF) shall be 1000 rounds. The system shall have an overall length no greater than 52″ in full configuration / extended excluding suppressor with a single component no greater in length than 40″. The system shall weigh no more than 18 lbs with a 12:00 MilStd 1913 rail and a loaded magazine with 5 rounds. The system shall be capable of operator breakdown into major components in less than two minutes. The system will assemble from the major component breakdown in less than two minutes by the operator. The system will assemble from breakdown with no change in weapon zero. The system will have an integral MilStd 1913 rail at the 12:00 position, the rail will be capable of maintaining bore sight alignment and weapon zero while conducting routine firing combined with combat movement and operational training drills. The accuracy requirements bear close scrutiny. All accuracy measurements will be taken at 1,500 meters. Yes, you read that right. In a stroke of genius, SOCOM will take all accuracy measurements at the range of operational employment of the PSR. Ten-round groups will be measured for vertical dispersion only, negating variable wind effects. Barrett is the reigning long-range .50-caliber king. Being already familiar with the military’s acquisition process and having a record of proven performance, anything from Barrett should be considered a strong contender. 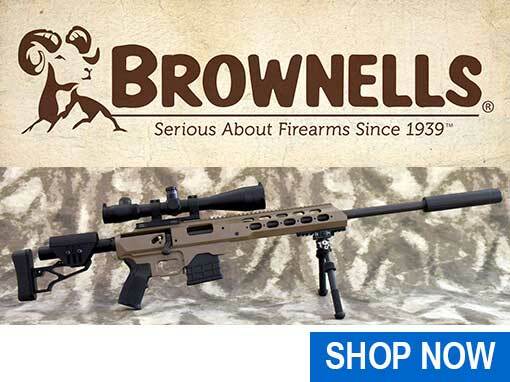 Barrett could submit their 98B in .338 Lapua Magnum for the PSR solicitation. The 98B has several design features that are uniquely Barrett. When shouldered, the 98B places the shooter’s shoulder in alignment with the centerline axis of the bore. This and its muzzle brake make for superior recoil management and comparatively mild felt recoil. Another feature that only Barrett offers are polymer bolt guides that the bolt rides on throughout its cycle. These polymer bolt guides allow for smooth bolt operation even in the absence of lubricant. Servicemen overseas are all too familiar with the problematic affinity that any lubricant has for dust and dirt. The Barrett 98B would also be one of the lightest rifles participating in the program. It tips the scales at a svelte 13.5 pounds (empty), which means that even with a loaded five-round mag, it will be well under the 18-pound threshold stipulated by SOCOM. It is also important to note that while SOCOM has set 18 pounds has their acceptable weight limit, their objective is a rifle that weighs only 15 pounds. 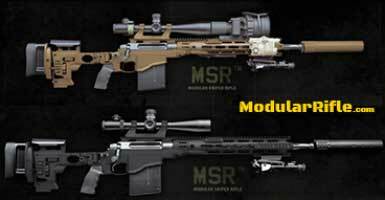 Barrett created the MRAD in accordance with the specifications laid out by SOCOM. Building off of the successful Barrett 98B, the MRAD features multiple improvements such as a folding stock which allows the rifle to be transported more easily. When folded, the stock latches around the bolt handle which increases the security of transporting the rifle. Additional features of the MRAD include a single-button length-of-pull adjustment, a bolt guide which acts as a dust cover to reduce debris entering the action, a trigger module which can be removed without tools making cleaning easier, an ambidextrous magazine release, and the ability to accept standard M4/M16 pistol grips. The MRAD includes an upper receiver that can tilt on its take-down pin like an AR to allow for easy maintenance in the field. I first fired a prototype PSR version of the TRG-42 a couple of years ago while still assigned as a sniper team leader with 3rd Special Forces Group. We had the team out in Texas for three weeks of training. Our instructor was doing the R&D on the TRG-42 and let some of us take a turn as time allowed. I was immediately impressed with the ergonomics of the stock and the portability of the system. With a 20-inch barrel and side-folding stock, it’s a compact little package that’s a joy to transport. The SureFire muzzle brake did an exceptional job of dampening the recoil to the point that our instructor mentioned that he’d let his 12-year-old son shoot it with no worries. The most notable change to the present day TRG-42 vying for the PSR contract is the addition of a quad rail to the fore end of the stock. While superfluous to the shooting majority, the quad rail is an essential addition for weapons employed in a military sniping or special-operation role. It allows the addition of infrared sighting devices and illuminators. SAKO TRG M10: In October 2011 Sako unveiled the Sako TRG M10 Sniper Weapon System. The TRG M10 was designed as a user configurable multi caliber modular system and does not share its receiver and other technical features with the Sako TRG line. By changing bolts, magazines, fore ends and barrels in the field, the TRG M10 system can be switched between .308 Winchester, .300 Winchester Magnum and .338 Lapua Magnum chamberings and adapted to various requirements. At the introduction, the TRG M10 is marketed for “military and law enforcement only. The TRG M10 was entered as a contender for the Precision Sniper Rifle program by the United States Special Operations Command to replace all current bolt-action sniper rifles in use by U.S. special operations snipers with a single bolt-action rifle chambered for a large caliber magnum chambering. The contract was awarded in 2013 to Remington Arms for their Modular Sniper Rifle. The next unique contender could be Sig Sauer’s Tactical 2 bolt-action rifle that doesn’t require rotation to unlock the bolt. Instead, the bolt is pulled straight to the rear to cycle the action and locks firmly in place with a 360-degree radial collet when pushed forward into battery. The rifle is easily converted between either right or left-hand shooters thanks to the straight-pull bolt and symmetrical cheek piece. Another unique feature of the rifle is the ability to rapidly switch from one caliber to another. By simply replacing the bolt’s head and barrel, the operator can choose between .223 Remington, .308 Win, .300 Win Mag and .338 Lapua Mag. The feature of the rifle that makes it a strong contender is the ability to rapidly change barrels. This is a tremendous asset for any rifle shooting the .338 Lapua Mag, because .338 cartridges eat barrel throats much more rapidly than .308s. Rifles that will see high round-counts (like a military sniper rifle during times of war) need to be re-barreled frequently. While having the ability to change from one caliber to another is nice, the ability for the operator to easily re-barrel his own weapon is an advantage. The Blaser R93 Tactical is a German sniper rifle, based on the Blaser R93 design. It has as variants the Blaser LRS 2 and Blaser Tactical 2. It is used by German and Dutch police forces as well as the Australian military and special police units. 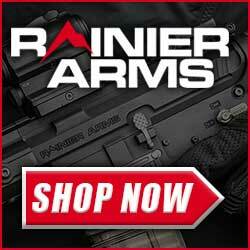 The rifles are manufactured by the German firearms manufacturer Blaser. Accuracy International’s (AI) AW338 is, perhaps, the rifle that introduced the militaries of the world to the wonders of the .338 Lapua Magnum. Accuracy International supplied the L115A3 to the UK MoD for all three services and the weapon system has been in Afghanistan for nearly a year. The L115A3 replaced the L96, which was a 7.62x51mm sniper rifle in service for the past 20 years and also supplied by AI. Needless to say, the AW338 is already well known to the world’s sniping community. The AI rifle has a three-lug bolt that means the bolt only needs to be turned 60 degrees before it unlocks for cycling. The shorter bolt throw requires less movement from the shooter to cycle the action; which makes it easier to stay consistent from shot to shot and decreases times between follow up shots when engaging multiple targets. The chassis of this rifle is also extremely popular in the United States for custom gun builds on either the Surgeon or Remington 700 action. The ergonomics, light weight and ability to fold the stock are all key factors. Ashbury International Group specializes in assembling commercial off-the-shelf systems for fielding and integration into military service. Ashbury’s PSR candidate, like many of their products, is a collection of specialty parts from the commercial sector. The exception to Ashbury’s M.O. for the PSR is the proprietary chassis system on their ASW338. The SABER-FORSST chassis is made for Ashbury from aluminum and composite materials. The side-folding chassis has multiple Picatinny rails that allow the operator to use up to a 60 MOA bias with installed optics. Alas, Ashbury International doesn’t sell their chassis system to civilians. It’s for military and law enforcement only. Thankfully the heart and soul of the ASW338 is the standard Surgeon XL action. Surgeon mates both 20” and 27” Rock Creek barrels to their XL action for different models of the ASW338. Barrels are capped with either AAC, Ops Inc or SureFire suppressors. Inside sources confirm that the that the chassis alone has an MSRP of $5,000 as quoted to SOCOM. At this time, there is no final price for the complete sniper weapon. While ArmaLite is mostly known for producing high quality ARs, they also offer a family of bolt-action rifles. 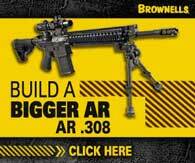 ArmaLite could choose its AR30 (available in either .308, .300 Win Mag or .338 Lapua Mag) to participate in the PSR solicitation. 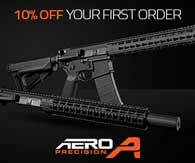 The MSRP of $1,882 makes the AR30 the most accessible entrant in the solicitation. The AR30’s beefy dual-lug bolt action rests in a v-shaped bedding block in the aluminum chassis. The stock is fabricated from three pieces: the fore end, grip frame and removable buttstock. A 15-MOA-bias Picatinny rail runs along the action’s top. We expect the AR30 to exhibit exceptional accuracy thanks to the Lothar Walther chrome-moly barrel. The 1:10 twist that comes with the .338 Lapua Mag offering promises to deliver optimum stability and accuracy with either the 250-grain or 300-grain bullets it’ll be firing. With the removable buttstock and lightweight aluminum chassis, the AR30 won’t have any problems with the weight or length requirements set forth in the solicitation. However, we do expect to see some type of quad rail developed. Part of the GO/NO-GO criteria require the ability to mount accessories at the 3, 6, 9 and 12 o’clock positions on the fore end of the stock. The Stealth Recon Scout (SRS) is a bolt-action sniper rifle developed by the American firearm manufacturer Desert Tech (formerly Desert Tactical Arms). It was unveiled at the 2008 SHOT Show. It is known for its bullpup design, which makes the rifle just as accurate as other rifles with similar barrel lengths, but as compact as an assault rifle or SMG. The gun is also lightweight, weighing 10.5 lbs at its lightest, which makes it easy to use with a bipod or large scope. The Stealth Recon Scout is notably unusual in that it is one of the few sniper rifles that is a bullpup bolt-action layout. This gives the rifle a relatively compact design; claimed to be 11 inches (280 mm) shorter than conventional sniper rifles. Because of the bullpup layout, the magazine and bolt are behind the pistol grip, and therefore the operation is slightly different from most other conventional designs. This layout also shifts more weight to the rear of the rifle; the manufacturer claims that this creates a central balancing point. The sling points are balanced with the centerline of the weapon to ensure it lies flat when slung. It features an adjustable cheekrest, and a raised, contoured buttpad helps to seat it more securely into the shooter’s shoulder. The Stealth Recon Scout was originally designed around the .338 Lapua Magnum cartridge, but is also available in many other calibers, including; .260 Remington, 6.5Creedmoor, 6.5X47Lapua, 7WSM .308 Winchester, and .300 Winchester Magnum — all of which can be changed in a quick conversion. The SRS is fed from a five round box magazine, and uses a 22″ – 26″ (660 mm) match fluted, free floated barrel. While the barrel is standard with a muzzle brake, it can be removed to allow access to a threaded muzzle for the attachment of a suppressor.The rifle is guaranteed to have a standard 0.5 MOA (0.15 mrad) accuracy and uses a 1-6 lbs (4-27 N) adjustable match trigger. The rifle is constructed of polymer (available in olive drab, tan, or black), aluminum, and steel. The handguard and upper receiver use a Picatinny rail system for attaching accessories such as a bipod or a telescopic sight. The safety can be operated without removing the user’s hand from the pistol grip, and the magazine release can be operated with one hand. There is also a shorter variant of the SRS rifle that is called the SRS Covert, it shares all the same features of the SRS, but uses shorter barrels and therefore a shorter handguard. The short barreled version of the rifle as stated by the manufacturer is to give users, (particularly military and law enforcement) a more compact and maneuverable for close quarters. 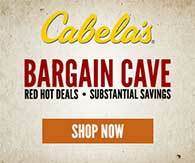 It uses 16″ and 18″ barrels in some of the above-mentioned calibers. The PGM meets the initial PSR criteria mandating a folding or removable stock and a quad rail system. The stock is a combination of both polymer and aluminum and appears to be plenty robust for field use. The quad rail attached to the fore end enables the barrel to free float while still providing mounting options for other mission-essential equipment. Other key features include an AR-style pistol grip, a monolithic rail atop the action and a detachable box magazine. The PGM is also set up for use with the Versapod should the operator be so inclined. While the PGM might not have the brand recognition that other PSR candidates enjoy, it is a newcomer to be taken seriously. Perhaps the most anticipated of all the PSR candidates is Remington’s new MSR (Modular Sniper Rifle). The MSR represents an entirely new action and chassis from this American icon. For decades the Remington 700—especially the action—has dominated the sniper landscape. Could the MSR represent the dawning of a new era for snipers everywhere? We’ll have to wait and see. In the meantime, here’s the skinny on this bolt-action, side-folding powerhouse. 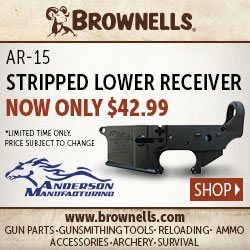 Remington’s new MSR is so new and so unique that the entire rifle is patent pending. Everything from the triangular-shaped three-lug titanium action with a 60-degree bolt throw to the side folding modular stock was developed specifically for this solicitation. Perhaps most unique to this rifle will be the operator’s ability to easily change both barrel and caliber. One rifle will be able to shoot .308, .300 Win Mag and .338 Lapua Mag from barrels ranging from 20 inches to 27 inches. 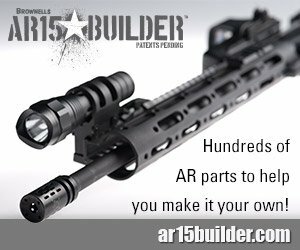 Other significant features include a modular forend that lets the shooter choose its length, a rail system that allows innumerable mounting options for any number of shooting accessories, an adjustable trigger and an AR-style pistol grip. The rifle’s incredible durability and Remington’s reputation for quality make this contender supremely difficult to defeat. While not immediately ready for civilian purchase, Remington may make it available in the future.